The products listed below are my 'standard' products in stock. All products are hand-made in the Westport/Grayland area of Washington State, USA. Being hand-made, each piece will be a unique beauty with slight variations. I also do custom orders - just Email me. Hand-made, fired ceramic - white on back with 2 hangers to decorate your wall when not in use. 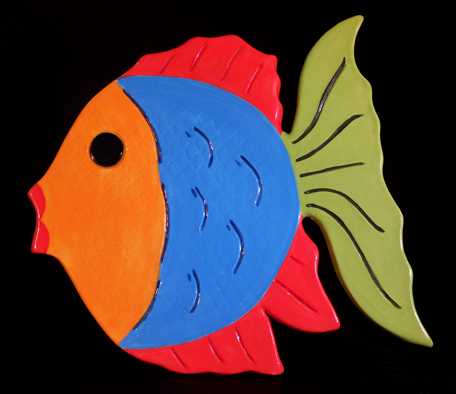 Comes in 2 color choices: Top and bottom fins either Red or Green. Approximate size: 7 inches by 7-3/4 inches. 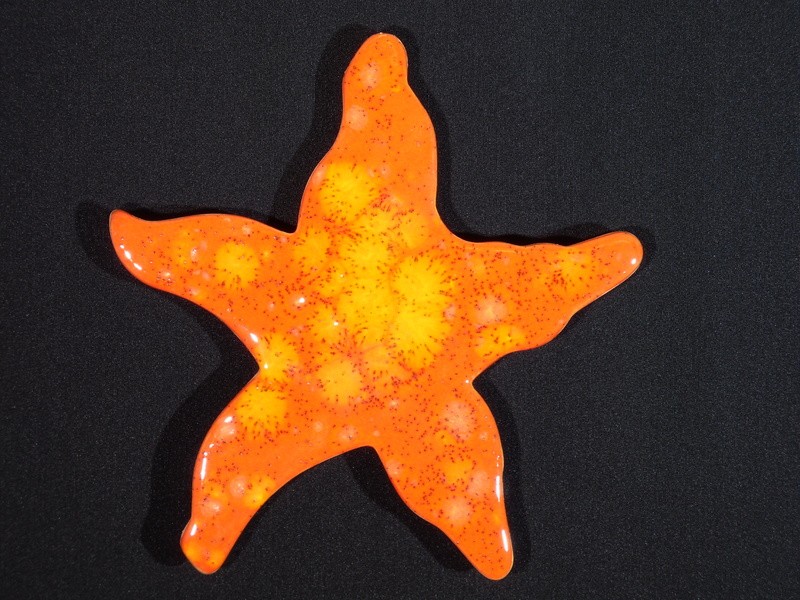 Hand-made, fired ceramic - with rubber buttons on the back for stability on your table and 2 hangers as well to decorate your wall when not in use! Approximate size: 9 inches by 9 inches. Approximate size each: 6 inches by 6 inches. Email me here to place an order. Copyright 2003-2017 Havenwyld Ceramics. All Rights Reserved.